NZ banks talked up their un-Australian-ness in a parliamentary select committee submission last week ahead of a pan-regulator report into the local financial services industry due for publication in October. The NZ Bankers Association (NZBA) submission to the Finance and Expenditure Select Committee (FES) argues that practices unearthed in the ongoing Australian Royal Commission (RC) into financial services were unlikely to crop up this side of the ditch. According to the NZBA submission, “there are a number of significant regulatory, governance, and cultural differences between New Zealand and Australia which mitigate the risk of similarly pervasive and systemic conduct issues going unnoticed here”. For instance, the submission notes the bipartisan support for a raft of financial services reforms and “comparative efficiency” of the NZ parliamentary system “has ensured regulation keeps pace with market dynamics and best practice”. “This sets us apart from the more cumbersome and recently adversarial political scene in Australia,” the NZBA submission says. The lobby group, which represents 17 NZ-registered banks, also points out that KiwiSaver is “much younger and less complex” than the A$2.7 trillion Australian superannuation system – the subject of much criticism (and potential criminal charges) following a recent RC round. “KiwiSaver has been successful because the Government of the day made a deliberate decision to have the bigger banks (with their branch distribution networks) as default providers,” the NZBA submission says. But unions representing frontline bank staff of three Australian-owned institutions – ANZ, BNZ and Westpac – told the FES that while it could not comment on any “specific instances of misconduct” similar to those identified in the RC, the NZ banking sector featured a comparable sales-driven culture. First Union says the institutions under its aegis have made some changes in the wake of the RC and last year’s ‘Sedgwick Report’ – that recommended banks drop sales-based incentives. For instance, both Westpac and ANZ have adopted the ‘balanced scorecard’ approach to assessing staff remuneration with BNZ to follow suit as of October 1. However, First Union calls for a “clear set of regulatory expectations with respect to sales incentivisation and management” as well as “regular oversight and enforcement” to quash the banking sales culture. The underlying union member group representing ANZ staff says the government should unleash a Royal Commission on the NZ industry to “uncover bad practices”, force improvements and “promote trust in the finance sector”. Regardless, the NZBA submission says “digitisation” and market disruption – such as new open banking standards – will change the banking sector. “This provides real opportunities for broadening competition and customer choice,” the NZBA says. The joint Reserve Bank of NZ (RBNZ) and Financial Markets Authority (FMA) RC-inspired investigation into the NZ financial services sector – spanning banks and insurance companies – is due to publish findings next month. Whether the dual regulatory effort will be enough to ward off a full-blown Royal Commission remains to be seen – although some industry pundits rate it a 50/50 chance despite both the RBNZ and FMA expressing little appetite for a repeat of the Australian performance. Meanwhile, the Australian financial services industry is getting no respite from the RC onslaught with a mounting executive body count and new criminal accusations lobbed against banks and insurance companies. 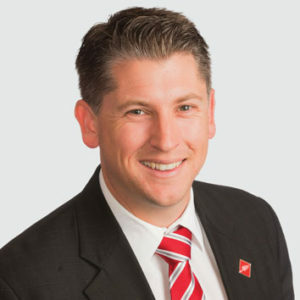 The FES, chaired by Labour MP Michael Wood, is overseeing the joint regulatory inquiry into the NZ financial services sector.